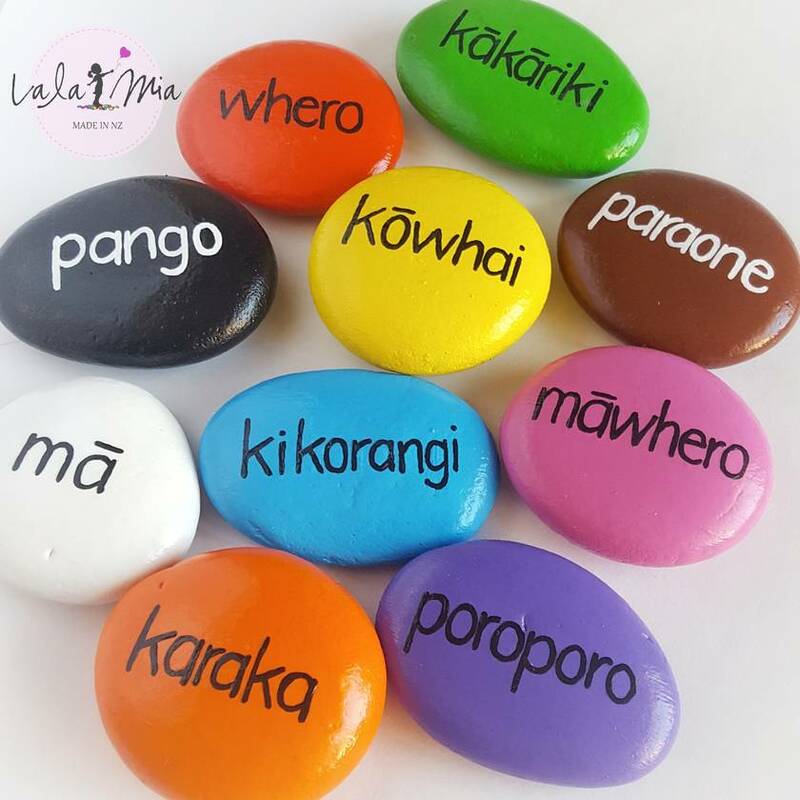 Maori & English Colour stones are a hugely beneficial set for children to provide help with learning their colours in multiple languages. 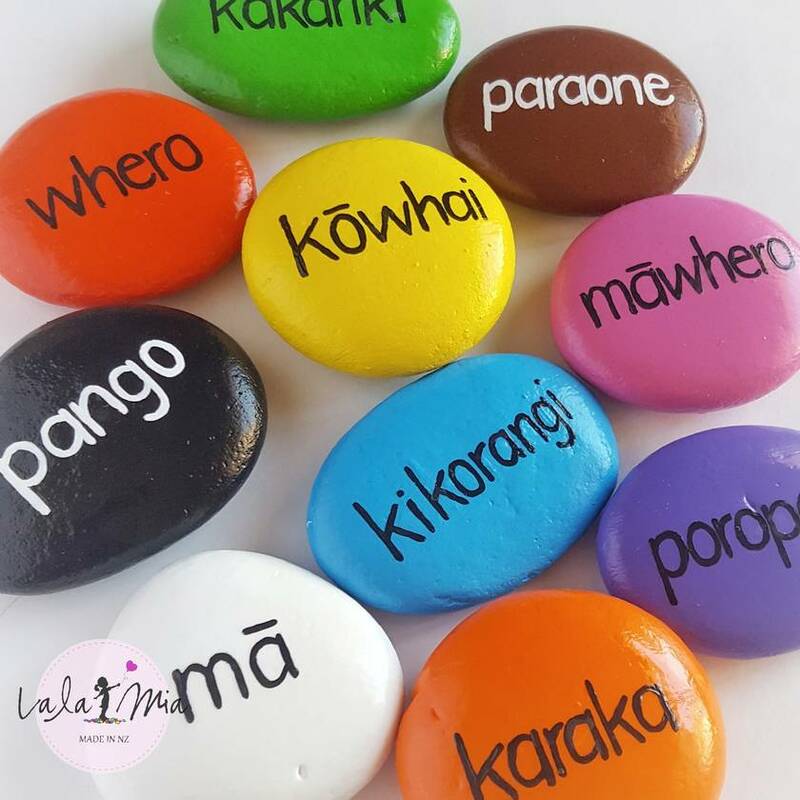 A set of ten in different colours has Te Reo Maori colours on one side and English colours on the other side. Fully customisable with your choice of font. Hand-painted with Acrylic paint and finished with a protective varnish. Adult supervision recommended. 4-5cm diameter. 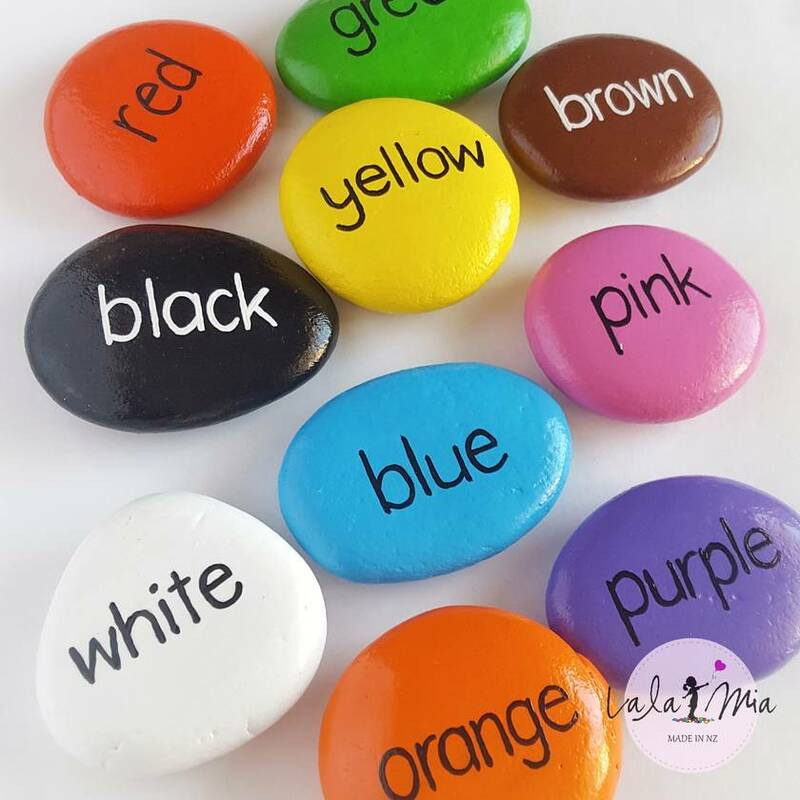 Please put your choices or any custom requests in the comments when making payment, or leave blank if you are happy to receive the stones as pictured. Contact lalamianz to enquire about payment or shipping options.